Hannah McCauley doesnât look at herself in the mirror anymore. Hannah is being punished for something that happened a year earlier, something that she would like to put behind her. But strange occurrences frighten her, and sheâs accused of breaking rules and doing other terrible things without any recollection of them. No one believes her, so she starts distrusting everything, even her own reflection. Is she being haunted by her past? Stalked by someone with a grudge? Or is it all in her head? If she doesnât figure out whatâs happening fast, her existence could end up irreparably shattered. Thereâs a second noise, a little louder than the first, and it sounds like the door clicking shut. My eyelids pop open and are invaded by some of the soap pouring down. I tightly close my eyes, trying to get rid of the stinging from the shampoo, and I shiver in the warm water. Iâm not cold, but I sense that Iâm not alone. An answer doesnât follow, so it canât be her. Sheâs not the type to play pranks or sneak up on people; it simply isnât dignified. 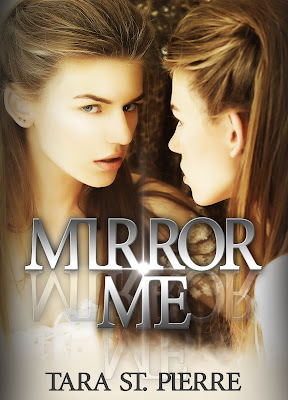 I crack open my eyes, but between my soap-blurred vision, the frosted plastic of the shower door, and my bath towel hanging over that door, I wouldnât be able to see the silhouette of anyone outside without moving. And I donât want to move. Iâm frozen in my spot. Thereâs another sound, softer but closer, and I realize that if itâs an intruder, Iâm trapped and naked. I feel helpless and afraid, but I have to do something. Just like I should have done something more back then. My eyes donât hurt as much, so I look around for something to defend myself with. All I can find is a razor. It was new when I last shaved my legs, so I hope itâs sharp enough to at least startle the intruder. A well-placed and unexpected nick could stall an attack. Thereâs one more click, and I spring into action. I grab the towel and wrap it around me. My right hand brandishes the razor, and my left hand shoves open the shower door. Some steam escapes, only to be replaced by cooler air. Through the mist, I donât see any sign of life in the room. I glance at the floor, looking for footprints or any depressions in the white cotton shag bath mat. Nothing. No one. The towel gets heavier and clingier as it absorbs the pouring water. I donât care that itâs soaked; there are more in the linen closet. I turn the faucet off quickly, and thereâs a squeal behind the wall. Maybe all I heard was the pipes, but I stand there dripping and waiting for silence to make sure the coast really is clear. There are more noises from the wall behind meâsome clicks and muffled voices. The neighbors? Adjacent townhouses are mirror images of each other with thin walls separating them. Iâve heard their television through the living room walls when theyâve turned the volume up too loud, but Iâve never heard them talking through the bathroom walls. But then again, I donât remember the last time I showered so early. I exchange towels to dry myself off and then put on my robe. Plugging in and turning on my hair dryer, I look at the medicine cabinet above the sink. I didnât turn on the exhaust fan, so the mirrored door is covered in condensation, preventing me from seeing a clear reflection. Thatâs how I like it. Because I was in the shower slightly longer than usual, I donât even see a dark blur where my head should be. 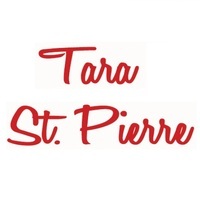 Tara St. Pierre has been writing for over two decades, but her muse only sporadically provides inspiration. Her laptop is filled with incomplete manuscripts and other plot outlines, and she feels blessed when one finally pushes its way through to completion--no matter how long it takes! Thanks for sharing, this book sounds intriguing. And I love the cover. Mirror Me. I wish the best in keeping up the good work in the future.